Bollywood celebs extend their Holi wishes. We bet everyone is all set to get into the festive spirit today as Holi 2019 is here. The festival is a celebration of colours and is also considered to be an auspicious occasion to leave all the negativity behind. Holi is celebrated along with loved ones and sharing the Indian dessert that is specially prepared on the festival called 'Gujiya'. 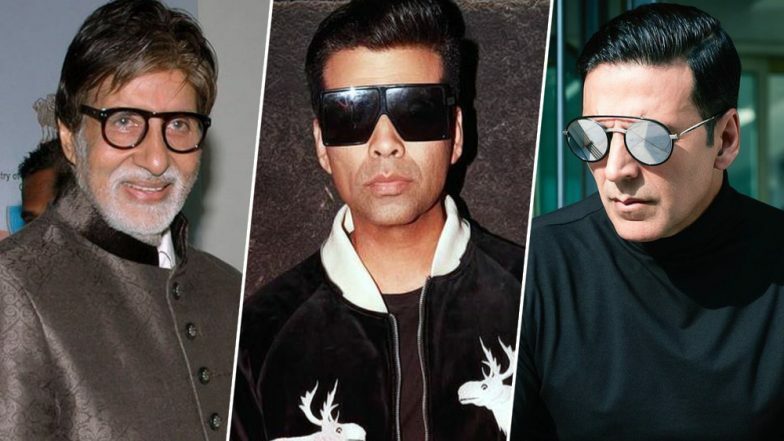 As Bollywood celebrities will be a part of several Holi parties today to celebrate the festival with their fans, they also took to Twitter to extend their wishes to everyone. Bollywood's legendary actor, Amitabh Bachchan took to Twitter to share an old image of the Bachchan family including him, Jaya Bachchan, Abhishek Bachchan, Aishwarya Rai Bachchan and Shweta Bachchan along with a message wishing everyone. Also, actor Akshay Kumar, whose film Kesari releases today, wished all his fans loads of happiness for the occasion of Holi. Holi 2019: How to Throw a Perfect Holi Party; 7 Tips to Keep in Mind. Taking to Twitter, Akshay Kumar wrote, "May this Holi add more colors to your life. Wishing you all a very #HappyHoli and Navroz Mubarak as well." Actor Anil Kapoor also wished all his fans on the joyous occasion with a lovely message saying, "Let the colors of Holi spread happiness, peace, and love all around! Wish you all a very #HappyHoli!. "Happy Holi 2019: Indian TV Ads That Capture the Spirit of the Festival of Colours. We are sure you are already in the festive spirit and all set to have a safe Holi with colours. Stay tuned as more Bollywood celebs will soon be sharing their Holi wishes with you soon!